Do I feel blessed? How and why or why not? This question seems so simple, yet I know it can be a difficult thing to keep in perspective at times. 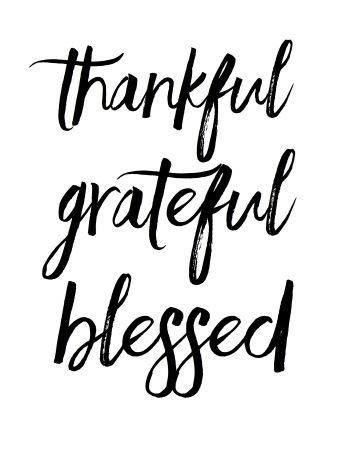 Even on the days when I seem to feel like nothing is going my way, I try to remember why I’ve been blessed to have everything I have up to this point. As humans, we tend to complain about the things we do not have, but forget about how much we’ve been blessed with otherwise. I am guilty of not always counting my blessings; there have been times when my thoughts have been very narrow-minded and selfish. Whenever I’m not in the right space, I try to thing of at least five things I’m blessed to have in life right at that moment, and it helps to keep my mindset in perspective. Posted in WritingTagged Blessings, blogging, encouragement, growth, life, love, personal, positive, quotes, thoughts, Whit C.
Previous Post Who’s Approval Do You Seek?